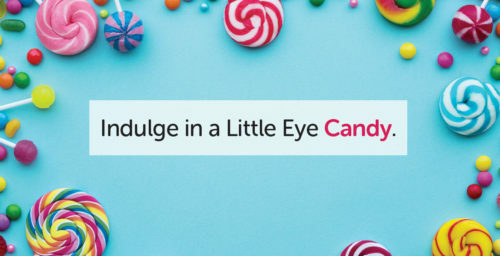 Indulge in a Little Eye Candy. THURSDAY, Dec. 27, 2018 (HealthDay News) — Antibiotics are life-savers. But they’re being overprescribed and overused, leading to antibiotic-resistant germs stronger than the drugs available to treat them. This is also creating more drug side effects, allergic reactions and serious infections. According to the U.S. Centers for Disease Control and Prevention, in one year alone, more than 262 million courses of antibiotics were prescribed on an outpatient basis — that’s 842 prescriptions for every 1,000 adults. 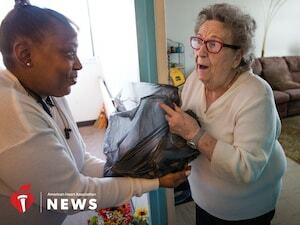 For children up to age 9 and adults 65 and older, the rate was greater than one to one, meaning that many took more than one prescription over the course of a year. Urgent care centers, in particular, are prescribing antibiotics to walk-in patients at a very high rate, often because patients are demanding them, even when they’re not necessary. As a consequence, people are experiencing a growing number of infections caused by bacteria resistant to various antibiotics. These include MRSA, E. coli and strains of pneumonia. Antibiotics Overuse 411: The most commonly prescribed antibiotic among children and teens is amoxicillin; among adults, it’s azithromycin. Women are almost twice as likely as men to receive antibiotics. Antibiotic prescribing rates are higher in the South than other parts of the United States. Dermatologists, family practitioners and pediatricians prescribe more antibiotics than other types of doctors. Sometimes you do need an antibiotic, but other times you don’t. Follow these best practices to avoid antibiotic resistance: If you get sick, ask your doctor what tests you can have to make sure the right antibiotic is prescribed, should you need one. Take antibiotics exactly as your doctor prescribes — complete the course of treatment, even after you start feeling better. Only take antibiotics prescribed for you. Don’t share antibiotics — if you take the wrong medicine, you may not treat the problem correctly and allow bacteria to multiply. Don’t “save” antibiotics for a future illness. Don’t ask for antibiotics when your doctor thinks you don’t need them. Prevent infections with thorough hand washing and getting all recommended vaccines. Take steps to limit your exposure to antibiotics so that they’ll work for you when you really need them. 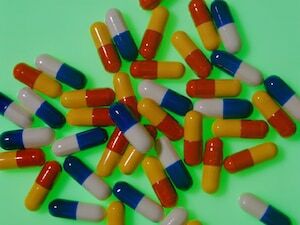 More information The U.S. Centers for Disease Control and Prevention has detailed information on antibiotic resistance to help you stay safe. TUESDAY, Dec. 18, 2018 (HealthDay News) — Researchers say they’ve identified genetic mutations linked with a blood vessel defect that can lead to deadly brain bleeds in babies. A rare hereditary condition, called vein of Galen malformation, causes high-pressured blood to be pumped from arteries into veins. The veins aren’t meant to handle such pressure and can rupture, spilling blood into the brain. “The effect is like trying to connect your backyard garden hose to a fire hydrant — the veins simply cannot withstand such high pressures from pumping arteries,” explained study corresponding author Kristopher Kahle, of Yale University. He’s an assistant professor of neurosurgery, pediatrics, and cellular and molecular physiology. For the study, Kahle’s team conducted genetic analyses of 55 children with vein of Galen malformation and their parents. The investigators identified a number of genetic mutations associated with the condition. 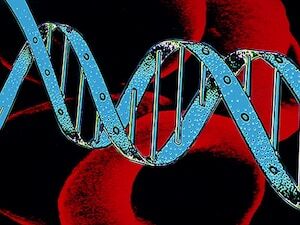 One mutation is in a gene called EPHB4, which plays a major role in the development of the vascular system, the study authors reported. The researchers also discovered that many parents who carry mutations of this gene had skin lesions caused by vascular irregularities. This information might help doctors diagnose vein of Galen malformation before a baby suffers a brain bleed, Kahle and his colleagues said in a Yale news release. Currently, the best treatment is a minimally invasive catheter procedure, but only a few facilities in the United States can perform the operation, the researchers said. However, there are drugs to treat other conditions caused by genetic disruptions identified in the study. Those drugs might prove helpful in treating children with vein of Galen malformation, Kahle said. The findings were published Dec. 18 in the journal Neuron. More information The Weill Cornell Brain and Spine Center has more on vein of Galen malformation. SATURDAY, Dec. 15, 2018 (HealthDay News) — Winter can be hard on your skin, but you can take steps to keep it soft and supple, dermatologists say. “When the weather changes, your skin care products should, too. For most of us, dry skin makes an appearance in the winter due to changes in temperature and humidity, so you need to think about appropriate skin care formulations,” said Dr. Rajani Katta. She’s a clinical professor of dermatology with the University of Texas Health Science Center at Houston. Katta and her colleague, Dr. Megan Rogge, an assistant professor of dermatology at the university, offered these tips to protect your skin: Choose thick skin creams over watery lotions. “Lotions are the least moisturizing, because they have such a high quantity of water. Creams are a better choice for those with dry skin,” Katta said in a university news release. Use sunblock. Rogge explained that “even when the temperature drops, the sun’s rays can still emit powerful ultraviolet radiation. If you’re close to snow or water, those UV rays can be even more potent due to the reflective surfaces, which makes wearing protection paramount.” Don’t take long, hot showers. “Many of us love to linger longer in steaming hot showers, particularly when it’s cold outside. These feel great, especially when your skin is itchy,” Rogge added. “But this can actually damage your skin barrier, and also exacerbate dry, itchy skin. That’s why it’s recommended to limit showers to 10 minutes, and use lukewarm water instead of hot water.” Soak and smear to help lock moisture into your skin. Katta said, “After soaking your skin, you want to smear on your moisturizer. In other words, after you take a shower, you’ll step out of the shower, pat dry just a little bit, then apply a moisturizer while your skin is still damp.” Wear gloves. “An important part of looking after your skin is using the right protective gear,” Katta noted. “Gloves keep your fingers warm and protect them, too.” Use a humidifier in your home. 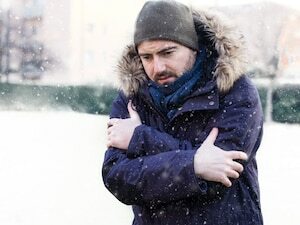 According to Rogge, “Winter dry skin gets worse once you start turning on the heat in your home. That heat starts to dry the air in your home, which in turn starts to dry your skin. A humidifier in your bedroom when you sleep can really help.” More information The U.S. National Institutes of Health has more on keeping your skin healthy. FRIDAY, Dec. 14, 2018 (HealthDay News) — As many as 20 million Americans have gallstones. Most don’t have any symptoms, but not all will escape a gallstone attack. The gallbladder is a small organ in the upper right abdomen. It’s a reservoir for bile, the fluid made by the liver to aid digestion. 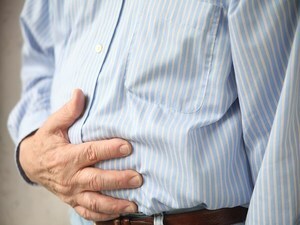 Experts aren’t sure why, but gallstones form from imbalances in the substances that make up bile, such as cholesterol. You can have one or hundreds of gallstones, and they can be as small as a grain of sand or the size of a golf ball. Gallstones: Who’s Most at Risk: Women. Anyone age 40 and older. Anyone with a family history of gallstones. Native Americans. Mexican Americans. “Silent” gallstones don’t interfere with the function of the gallbladder, liver or nearby pancreas. Often they’re discovered during an imaging test for another health concern. If a gallstone blocks any of the ducts that connect the gallbladder to the liver or pancreas, you can suffer a gallbladder attack. It often happens at night, after a heavy meal, and the pain can last for several hours. The attack usually stops when the stone moves. But if the duct remains blocked, you risk complications such as inflammation or infection. Untreated blockages can be fatal if they stop the pancreas from working normally. The good news is that serious gallbladder attacks affect only about 8 percent of people with stones, according to a Danish study. Most at risk are women in general and people who have one large stone or multiple stones. Whether or not you know you have gallstones, know the signs of a potentially serious gallstone event and contact your doctor even if the pain goes away. Warning Signs of Gallstone-Related Infection or Inflammation: Abdominal pain lasting more than 5 hours. Fever or chills. Jaundice, the yellowing of the skin or whites of the eyes. Nausea and vomiting. Tea-colored urine and light-colored stools. If tests confirm stones, you may want — or need — to have your gallbladder removed, a very common operation. And because the gallbladder isn’t essential, you can live normally without it. More information Read more about gallstones at the U.S. National Institute of Diabetes and Digestive and Kidney Diseases. 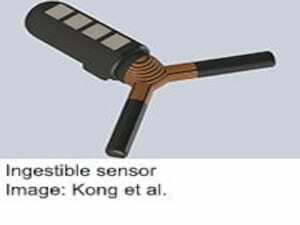 THURSDAY, Dec. 13, 2018 (HealthDay News) — The future of medicine may be here: Researchers at the Massachusetts Institute of Technology say they’ve developed an ingestible capsule that can be monitored outside the body for health data, using Bluetooth wireless technology. The capsule could deliver drugs as well as sense the condition of its surroundings in the gut, including infections or allergic reactions, the researchers explained. Once these health conditions were spotted, one of these so-called “gastric resident platform” devices could release the proper medicine in response. The goal is “customized ingestible electronics where the gastric residence period can be tailored, based on a specific medical application,” study lead author Yong Lin Kong explained in an MIT news release. He’s a former MIT postdoc researcher who’s now assistant professor at the University of Utah. Kong said the 3D-printed capsule could someday become “a personalized diagnostic and treatment that is widely accessible.” The device is ingested in a standard lozenge form like a pill. But sensory arms pop open once it’s inside the gut, revealing a Y-shaped device. One of the arms contains compartments large enough to hold medicines that could be time-released over several days, the researchers said. At the same time, the device’s sensors could monitor everything from heart rate to breathing levels and body temperature. Data might even be sent to a nearby smartphone, the MIT team noted. The data would stay within about an arm’s length range, Kong noted. That’s a security feature, limiting “unwanted connections” to the data and “providing a physical isolation for additional security and privacy protection.” The capsule is right now powered by a tiny battery, but in the future it might be powered remotely or even by harnessing energy from nearby stomach acid, the scientists added. Testing is already underway in pigs, and human trials are anticipated within two years. One gastroenterology specialist was enthused about the technology. “Sometimes truth is more fascinating than science fiction,” said Dr. David Robbins, who helps direct endoscopy at Lenox Hill Hospital in New York City. “The long fantasized dream — that we could ingest micro-robots to battle whatever ails us — just got a few steps closer to reality with this report,” he said. The device “can not only withstand weeks of submersion in pools of corrosive stomach acid but also deliver precise doses of medication — all controlled from a smartphone,” Robbins said. He believes the potential of the new device could be limitless. “It won’t be long before we can direct not only drug delivery but also micro-surgery in the gastrointestinal tract — no skin incisions, needles or even trips to the hospital required,” Robbins said. For their part, the MIT team believes the technology has multiple uses. For example, it could release medicines as needed for people on strict drug regimens, such as people with HIV. Or it could give early warning of infection in people at high risk — patients on chemotherapy or immunosuppressive drugs, for instance. The new research was funded by the Bill and Melinda Gates Foundation and the U.S. National Institutes of Health. The research team has also launched a company to help develop the technology. The findings were published Dec. 13 in Advanced Materials Technologies. More information There’s more on the gastrointestinal system at the American College of Gastroenterology. WEDNESDAY, Dec. 12, 2018 (HealthDay News) — For many obese people, weight loss surgery can be a new lease on life, but too few who qualify for the procedure opt for it. One big reason: The widespread notion that surgery is an “easy way out,” signifying a weakness of willpower to slim down using diet and exercise. Almost 40 percent of nearly a thousand surveyed in a new study thought weight loss surgery (or “bariatric surgery”) was this kind of lazy, quick fix for weight loss. And a “large percentage of the population — nearly 50 percent — think that weight loss surgery is performed for mostly cosmetic reasons,” added lead researcher Dr. Heather Yeo. She’s an assistant professor of surgery at Weill Cornell Medical College in New York City. That’s “unfortunate, as there are clear health implications to obesity, and strong data which support the effectiveness and safety of weight loss surgery,” she said. Yeo believes people need to become aware of the health dangers linked with obesity. “Obesity is a public health epidemic that contributes to mortality and many other health conditions, such as hypertension and diabetes,” Yeo said. “Weight loss surgery has a low rate of complications and also has excellent success.” The patients who want weight loss surgery are not doing it to look better, agreed Dr. Eric DeMaria, president of the American Society for Metabolic and Bariatric Surgery. Mostly, “they want better health,” he said. “The effective treatment for this disease of obesity is bariatric surgery, and 99 percent of the people who could benefit by this treatment aren’t getting it.” But given the stigma around obesity, many patients don’t consider weight loss surgery, DeMaria noted. “You’re almost admitting to being a personal failure as a human being, because you can’t lose weight by yourself,” he said. But that’s a false perception, DeMaria said. Obesity is a complex disease of metabolism. “It’s extremely difficult to treat without assistance of medications or surgery in addition to all the behavioral stuff,” he explained. DeMaria said the surgery is safe and effective. In addition, he noted, “It also treats all the serious medical conditions that accompany obesity and even reverses the risk of premature death.” For the study, Yeo and colleagues asked 948 people throughout the United States about their attitudes on obesity and weight loss surgery. The researchers did find that women were less likely to think the surgery was cosmetic, and more likely to believe it was done for health reasons and not an easy way out. 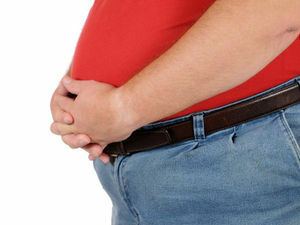 The stigma of obesity is also shared by insurance companies, said Dr. Mitchell Roslin, chief of bariatric surgery at Northern Westchester Hospital in Mount Kisco, N.Y. “We are not operating on patients that we potentially could show the greatest benefit because the insurance process is so rigorous and blames the patient,” he said. But this is just an extension of society’s view that people choose to be obese, Roslin added. “People don’t understand that obese people don’t eat more to become obese, they eat more because they are obese,” he explained. “They have a regulatory disorder, and we blame them for their disease.” Obese people should stop blaming themselves and choose treatments that work, like weight loss surgery, Roslin said. The report was published online Dec. 12 as a research letter in the journal JAMA Surgery. More information For more on weight loss surgery, visit the American Society for Metabolic and Bariatric Surgery.